The View From Here has had its year in the sun and is winding down (last post will be 9/25). This idea has actually been knocking about my head for quite awhile. Ever since I had you guys ask me questions for my blogiversary in 2012. I got lots of questions! So many that I did a series of posts to answer them. So why not try that again, but make it a more permanent feature of Dancing in the Rain? You can submit questions -- about my life. blogging, parenting, marriage, Mark's health or anything you're curious for an opinion or perspective on -- and I can answer them in blog posts, either here, or even perhaps as a guest post on another blog, if the question-asker would like. I'm not saying it will be with any particular regularity, but it would be nice to do it at least once a month. 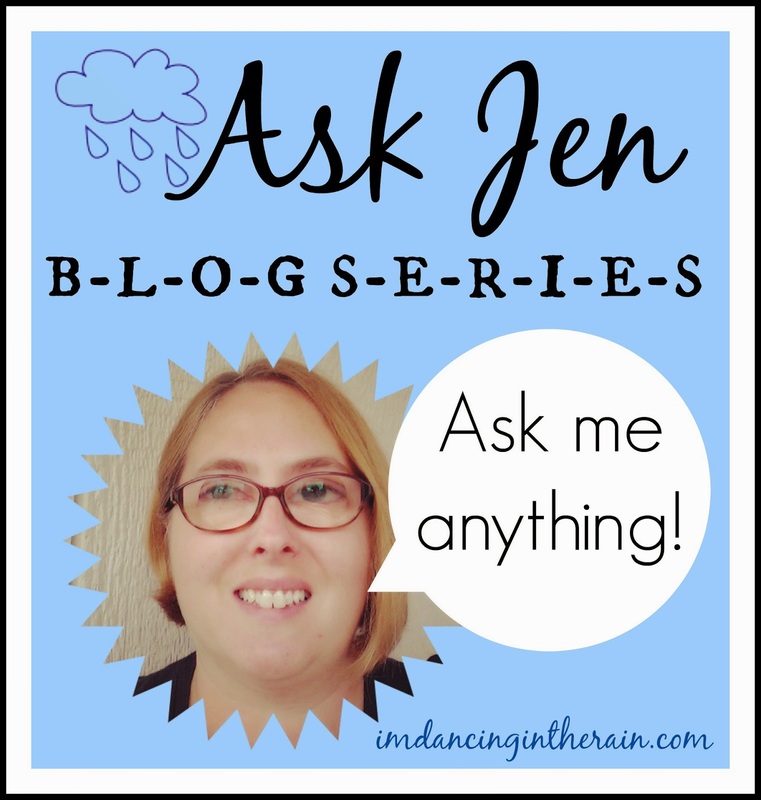 So I give you: Ask Jen! Are any subjects off limits to your blogging? Do you wish you could have just one more baby? What is the worst thing about your sight issues? Pretty much run the gambit, don't they? How 'bout a handy-dandy form? So this will be fun, right? The correct answer is, "Yes Jen, yes it will!" Now don't forget, this isn't just a one-time thing. The form (and me, myself) will be available, so whenever you think of something, come back and ask!